: At home, when I was 5 (1972). My parents liked his movies, and I remember watching "Blue Hawaii" at that time. "No More" was the first song that I remember to hear. : His voice,and the way that he sings... at that time I have barely spoken my first words in English, but it seems to me I could understand him. My heart understood every words, and I knew it would be forever. "My Message to Elvis": You have been by my side in good and bad moments, always with a song tomake me feel better... to know you is to love you, and no matter how long I shall live, I will always have your image and your gentle voice in my soul. I thank God for giving me such a gift, I thank God for you, my friend! I love you, and I always will! : Song: Pledging My Love. Because it seems to translate all I've always wanted to say to him. Movie: Change of Habit — I love the story, his role and, mainly, because it is not a comedy, it shows a grownup Elvis, in all his talent. : The Gipsy overall he used in 76. All of them are beautiful, but this one is special, and Elvis look heavenly wearing it. : Well, I have no doubt it was Priscilla. But I think he made the most adorable couple I've ever seen with Ann-margret. : I was at home, with my older brothers. I remember to be watching TV, and I remember the images that were flashing. I was only 9 years old, but I will always remeber that day. 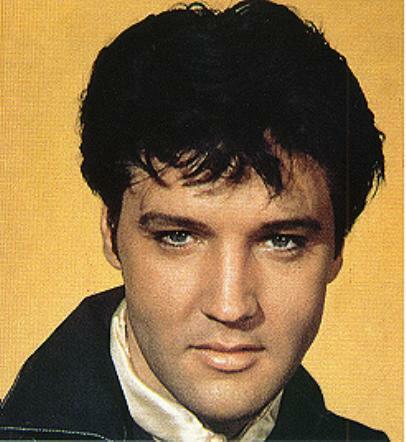 : Elvis always had such charisma... I always played his songs and movies to my little nices and they love him. I think he has a unique way to go straight to people's heart! : No, not yet... Graceland will be my birthday gift at the end of this year (2007). As Elvis himself used to say "We'll meet again!"... can't wait for that! till then, "I'll keep your picture by my pillow, and pretend I'm not alone, make believe that you are with me... everywhere...! : I am 39 years old, a passionate Elvis Fan since I was a kid. What I like most is to hear him singing, and sometimes I write those crazy histories where he is always the main character. Maybe someday I have courage enough to share one of them in this site. I love to whatch "3000 Miles to Graceland", because I think that is the kind of movie Elvis would love to do. Well, I guess this is it. I like so much more to talk about him then about me, of course! : It won't be a bad idea to have the lyrics of his songs here... to the fans outside USA, and also a space where we could mention all kinds of happenings related to Elvis in our countries. Thank you for your comments and taking part in our survey. Elvis has had quite an impact on many; even today his name stands proud. His memory lives deep in each of his fans, our loyalty to this Great man stands firm. I also love listening to his wonderful voice, the sincerity in his lyrics hit home base at times. I`m sure you`re excited to be going to Graceland to honor the man you adore. We would love to hear about your experience if you wish to share it. Also Eliane, thank you for your suggestions, great idea!